Disabled people are among the most marginalized in our country. Many State sectors are trying to fulfil their responsibilities towards them but all attempts are constrained by the lack of funds. 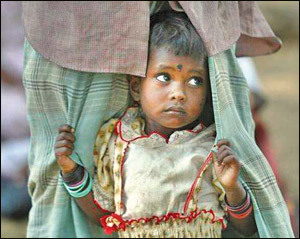 The state has however provided a rights-based policy framework in line with global norms. It has in place good development infrastructures and adequate personnel which could be used to fulfil the hopes and aspirations of our disabled people and bring them equity as equal citizens. 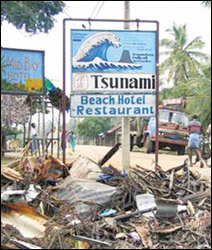 When planning future disability projects many lessons can be drawn from the immediate post-tsunami period. As part of the enormous international interest and empathy that the country attracted, the field of disability too had an influx of overseas aid to an extent that had previously never been experienced. A large amount of aid poured in for disability work. But how did this benefit the disabled people of this country? What were the result? What was the impact? How, on what and on whom was the money spent? We do not know for donors hardy followed up, monitored or evaluated these projects. All we do know results from our own observations and discussions. Development projects are, as a rule, closely monitored and evaluated. But sadly, also as a rule, this does not apply to disability projects. Q: Do disabled people not have the right to steps that will ensure that work related to them has the best possible results? Do they not have the right to this information? A: Take for instance what was perhaps the largest investment of disability aid ever in this country, the project which had as its aim making the built environment accessible to disabled people. The aim itself was timely both because of the huge amount of post-tsunami reconstruction that was to take place, and because there had previously been no consciousness in this country of this important need. Donor aid went to five partners, four of whom were international NGOs. The local partner, a disability organization, was represented by its president who did not know English. Since all meetings and discussions were conducted in English, the disabled representative was even more disabled as he became a silent partner. He was unable to even know what decisions were being made leave alone make any contributions. And so the project was implemented, with decisions being made by foreigners, the employment of expatriate personal, expensive media campaigns, some lobbying (mostly by the expatriates) and some work on the ground. Publications made by and expatriate informing certain sectors about accessible buildings still remain stacked up in and office, too irrelevant to use. The failure of this project can be assessed even now when one travels along the tsunami belt. How many repaired and reconstructed hotels and other buildings used by the general public are accessible? An outstanding example is the several newly constructed police stations along the south-western cost. They have been built on pillars, difficult for disabled and elderly people to use. Q: Did the project not know that these were being built in this way? Did no one from the project talk about the need for accessibility with the responsible administrators, architects and draftsmen or even others who could influence them? A: There was a period during project implementation when one of these INGOs had over twenty expatriate personnel employed in their office here, many of them young and inexperienced. High salaries and associated fringe benefits such as rent and travel and living allowances would surely have eaten into a significant portion of the budget. There would certainly have been more competent Sri Lankans who could have carried out the same tasks more efficiently. Proper periodic monitoring may well have questioned this and improved the situation. The extent of the failure of this project could perhaps in a way be assessed by the need for the petition filed in the Supreme Court by a disability activist not so long ago and contrasted with its success. This plaint and its legal outcome brought effectively to the attention of both the authorities concerned and the general public that all public buildings must be made accessible to all people alike. 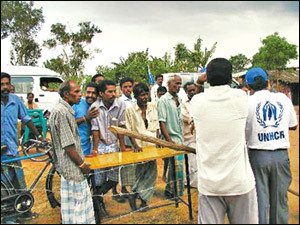 The tsunami-related research report of the International Disability and Development Consortium (IDDC) dated June 2005 highlights three particular issues related to Sri Lanka that are relevant to the subject of this article. One, it states that "Despite huge amounts of funding for the tsunami, very little has gone to local (disability) organizations". Two that "There are reports of people leaving local NGOs to get temporary employment in INGOs that pay better salaries. Whilst large INGOs have more money than ever before and are offering funding to smaller INGOs, most local NGOs still struggle to obtain funding. Many people from the bigger international agencies spoke of the novel problem of having so much money they do not know how to spend it. Smaller INGOs that may not have directly received public donations are being offered funding from the larger organizations. However, there appears to be more reluctance to fund local organizations including (Disability organizations) directly." Three, it has also this to say about participation of disabled people. "Representation is another key issue. The majority of lobbying work for accessible reconstruction is being led by international organizations not by the disability movement." As with any development activity, sustainability is central to the success of disability projects. There is generally much interest among donors to sponsor projects for the production of assistive devices such as wheelchairs and artificial limbs. Whilst of course technical quality is important, this surely should never be at the expense of affordability. There is a dire need to balance technical quality (ensuring minimum standards) with affordability.